Birmingham, 05 September 2017: With the decision due soon as to whether an English Bid for the 2022 Commonwealth Games will be submitted and, if so, whether it will be Birmingham which becomes the UK’s Candidate City, the bid team has today compiled a list of 22 reasons as to why Birmingham should be selected. With a population of 1.1 million in the city alone, there are hundreds of thousands of reasons why Birmingham should host the 2022 Games. Using a little poetic licence, here are the top 22 reasons, in no particular order, why it is time to ‘BRING the GAMES TO BIRMINGHAM’. With events planned to take place in Coventry, Sandwell and Solihull, Birmingham’s bid has the full support of the wider Midlands region, including: Birmingham City Council; three regional local enterprise partnerships: Greater Birmingham and Solihull LEP; Black Country LEP; Coventry and Warwickshire LEP; the West Midlands Combined Authority and the newly elected Mayor of West Midlands, Andy Street CBE; the West Midlands Growth Company; and the Midlands Engine, and Chair Sir John Peace. In addition, Birmingham’s bid is supported by broader stakeholders, including The Birmingham Commonwealth Association, Birmingham Chamber of Commerce and other bid members across public and private sector. Hosting the Games would accelerate the implementation of key aspects of the Birmingham Development Plan 2031, including: job creation; enhancing prospects through innovative ideas for volunteering; driving long-lasting behaviour change through better sports facilities and activity programmes; and increasing housing. Track record of delivering large international sporting events, including: ICC Champions Trophy and The Ashes at Edgbaston; Rugby World Cup fixtures at Villa Park; Diamond League athletics at Alexander Stadium; Aegon Classic tennis at Edgbaston Priory; Yonex All England Open Badminton and the UCI BMX Championships. Festival Squares will provide the beating heart of Birmingham 2022 in Victoria Square, Centenary Square, Chamberlain Square and Brindleyplace. 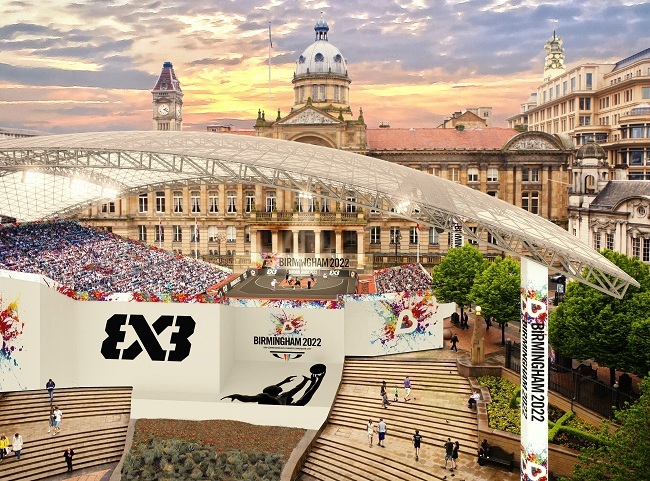 These buzzing locations, surrounded by major cultural institutions such as the Birmingham Museum and Art Gallery, Town Hall, Symphony Hall, Library of Birmingham and the world-famous REP Theatre, will all be engaged during the Games. Birmingham 2022’s legacy will be better health and wellbeing; better prospects; better living. It is an approach that harnesses the power of sport for the good of the whole society. The legacy from the Games will speak to the future of Birmingham and the wider regions, and specifically to those who are young, from diverse communities and currently disadvantaged. University of Birmingham became the first UK university to offer a sports-based degree in 1946. Currently ranked number 5 globally for sports science research, the University attracts amazing athletes, coaches and researchers who will contribute to and be inspired by Birmingham 2022. With Coventry bidding to become UK City of Culture in 2021 and Nottingham bidding to become European City of Culture 2023, Birmingham 2022 could help the Midlands to shine and achieve the cultural recognition it deserves. Nearly 40% of Birmingham’s population is under 25 years of age, and Birmingham has the highest proportion of under 20 year olds of any major city in the UK. This youthful energy will contribute to a fantastic volunteering experience. Sports stars from across nineteen sports, including all Commonwealth Games sports announced as part of Birmingham’s bid, have thrown their weight behind the city’s 2022 Commonwealth Games bid, including Mo Farah (Athletics), James Rodwell (Rubgy 7s) and Lily Owsley (Hockey). Birmingham is proud of its history as the cradle of the Industrial Revolution, and is well-known as the City of a Thousand Trades, with the surrounding region being home to iconic UK businesses such as Jaguar Land Rover, JCB and Rolls-Royce. The assets that led to such success – connectivity, innovation and people – are now heralding a new era for the West Midlands. With the city undergoing considerable regeneration and gaining expertise on the major sporting and cultural events stage, now is Birmingham’s time to shine once again and showcase the city, the region and the UK to the world. 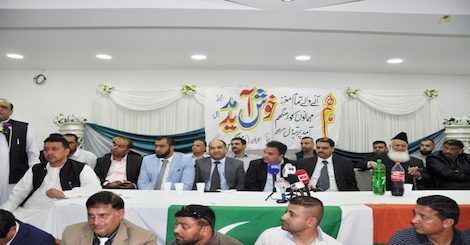 The bid has cross-party support from all three Birmingham City Council leaders as well as the seven local authorities within the West Midlands Combined Authority (five Labour, two Conservatives). The best of British business, from those founded and headquartered in Birmingham through to global institutions with a significant presence in the city, including HSBC (with its origins in Birmingham) and Mondelez (owner of much-loved Birmingham brand, Cadbury), recognise the benefits and opportunities that a Birmingham 2022 Games will deliver, especially through post-Brexit business opportunities delivered via Business Expo 2022. Inclusivity is key to Birmingham’s bid and Birmingham 2022 would include Para Athletics, Para Swimming, Wheelchair Basketball, Para Lawn Bowls and Powerlifting, amongst other sports. It is no wonder that Baroness Tanni Grey Thompson, Ellie Simmonds, Kare Adenegan and Bob Love are backing Birmingham. Birmingham is home to over 200 restaurants offering cuisine from 27 different countries, including five Michelin-starred restaurants, more than any city outside the capital. Institutions including Culture Central, Birmingham Museums, Birmingham Hippodrome, Sampad South Asian Arts Organisation and DanceXchange deliver acclaimed performances and co-ordinate over 50 festivals annually, including the major Birmingham Weekender and International Dance Festivals and would be instrumental in delivering the cultural programme for Birmingham 2022. Situated in the geographic heart of the UK, 28 million people are within two hours’ drive of Birmingham and 90% of the UK is within four hours’ travel. International, national and local transport links provide access to 400 million people across Europe. Central to Birmingham’s bid is the internationally recognised NEC, situated on a site which also includes the Genting Arena with a combined total of 200,000 sq m, it is the UK’s, and one of Europe’s, largest indoor facilities. During Games time it will host Boxing, Judo, Table Tennis and Wrestling alongside the indoors fan zone. Multi-BAFTA Award winning actress, Dame Julie Walters and actor David Harewood joined with stars of the music world Simon Webbe, Toyah Willcox and Bradley Simpson, from the Vamps, to champion Birmingham’s bid. 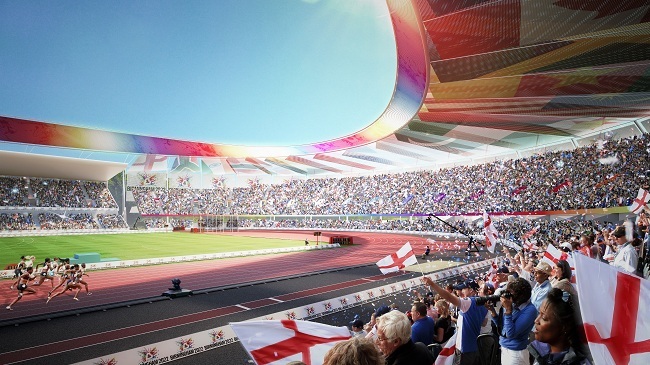 An enhanced and refurbished Alexander Stadium will be pivotal to the Birmingham 2022 Games. Post 2022, the stadium will feature improved competition and training facilities and increased permanent seating capacity to 20,000 with Games time capacity up to 45,000. The regeneration of the stadium will enhance Birmingham’s reputation as City of Running, already hosting the Great Birmingham 10km, Great Birmingham Run (Half) and Birmingham International Marathon. Birmingham is the most ethnically and culturally diverse major regional city in the UK, with a population comprising 187 different nationalities and with 314,000 (6%) of residents in the West Midlands born in a Commonwealth country.